After many years of trying to set up a Tana Centre in Malaysia, we are finally here. We have rented a shop lot in Subang Jaya and set up the Centre to serve all of you. We have Lama Karma Sherab as our Resident Lama to guide us. 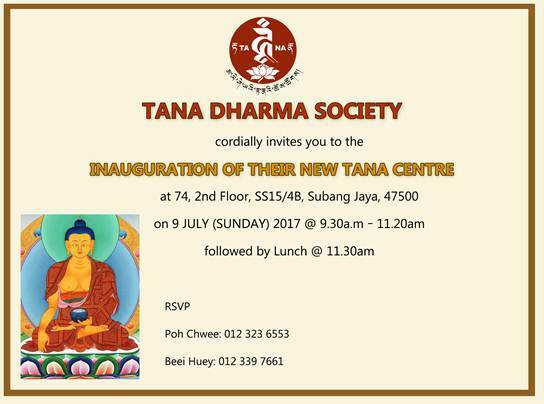 Please take time off to attend the inauguration of the new Tana Centre, details as below. The Sanghas will be attending the vegetarian lunch, please feel free to do dana, food or ang pow to the Sanghas to accumulate merits.